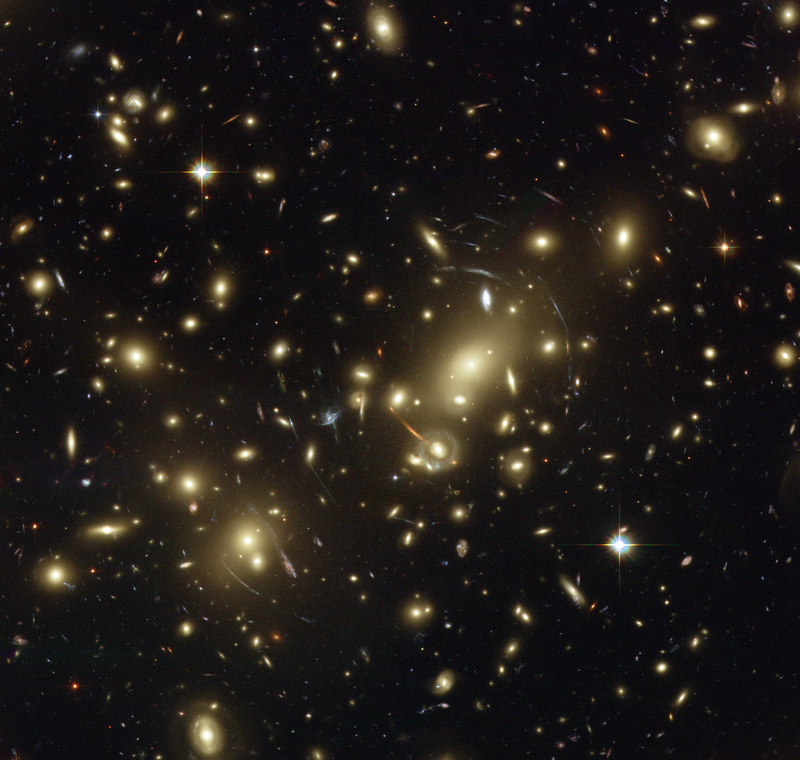 The picture shows Abell 2218, a rich galaxy cluster composed of thousands of individual galaxies. It sits about 2.1 billion light-years from the Earth (redshift 0.17) in the northern constellation of Draco. When used by astronomers as a powerful gravitational lens to magnify distant galaxies, the cluster allows them to peer far into the Universe. However, it not only magnifies the images of hidden galaxies, but also distorts them into long, thin arcs. Several arcs in the image can be studied in detail thanks to Hubble's sharp vision. Multiple distorted images of the same galaxies can be identified by comparing the shape of the galaxies and their colour. In addition to the giant arcs, many smaller arclets have been identified. Position (Dec): 66° 12' 38.71"